Hi sugars! 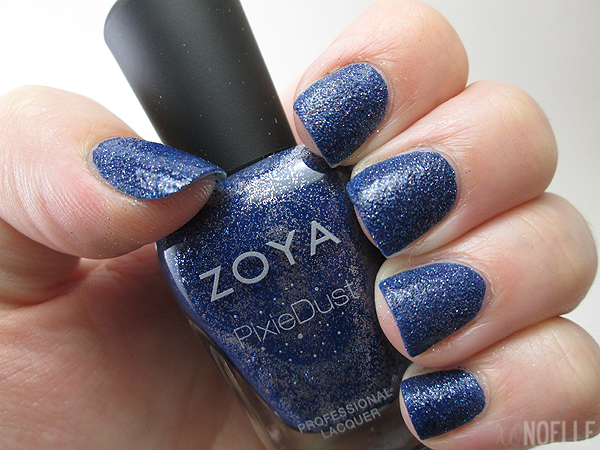 Today I have swatches from Zoya's PixieDust Collection for Fall 2013! I can't believe I'm posting about fall already. Breathe, Noelle, we still have August. Anywho, this is my first time ever trying out textured polishes and I've got to say, I'm impressed! I don't know why I didn't try these out sooner. Let's check out the swatches! Tomoko is described as a romantic champagne color with a matte, textured, sparkling metal finish. Sparkling is right! I love, love, LOVE this color! This is one coat although I recommend two coats for a nice opaque finish. Formula was absolute perfection with no issues. Also, this dried SUPER fast. Like, in two minutes fast. Chita is described as a forest green with a matte, textured, sparkling metal finish. I'm not a green polish girl by any means but I think I've found one that might change my mind. I will definitely be rocking this for fall. Again, formula was awesome. This is one coat! Sunshine is described as a "Van Gogh" navy blue with a matte, textured, sparkling metal finish. What a weird name for such a dark polish. *Shrugs* I love their description though. This is definitely "Starry Night"-esque. 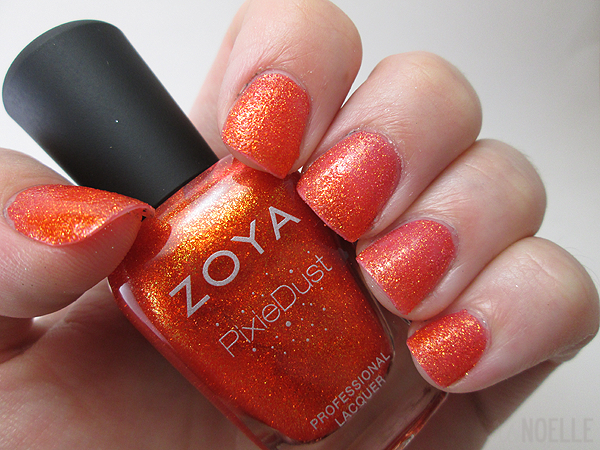 Dhara is described as a firey orange with a matte, textured, sparkling metal finish. Oh. My. Goodness. I don't even need to wait until fall to wear this baby. This is one coat although I think two would've really done the trick on this. Arabella is described as rich fuschia with a matte, textured, sparkling metal finish. Another great transition color for summer to fall! Again, this is one coat but two would probably attain full opacity. Carter is described as a royal purple with a matte, textured, sparkling metal finish. This is my favorite color of this collection! Naturally, my camera and lighting wouldn't cooperate and made this look patchy? I can promise you there were no issues with this formula that would cause patchiness. 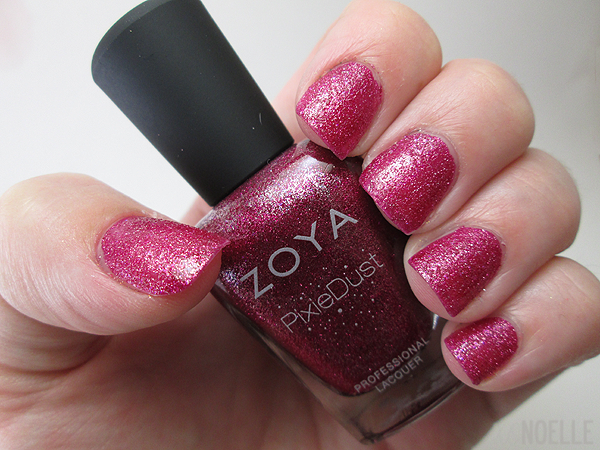 Mark my words: this is going to be one of the must-have polishes for Fall 2013. Overall: Squee! This collection is amazing. Every polish's formula was absolute perfection to work with. You would think with the pixie dust texture that there would be issues with dragging and pulling but there wasn't. Another awesome thing about this polish? The drying time! By the time I painted my nails and photographed them, they were dry. Removal was easy-peasy and equivalent to normal nail polish removal. My two favorites of this collection are Carter, Chita and Sunshine! 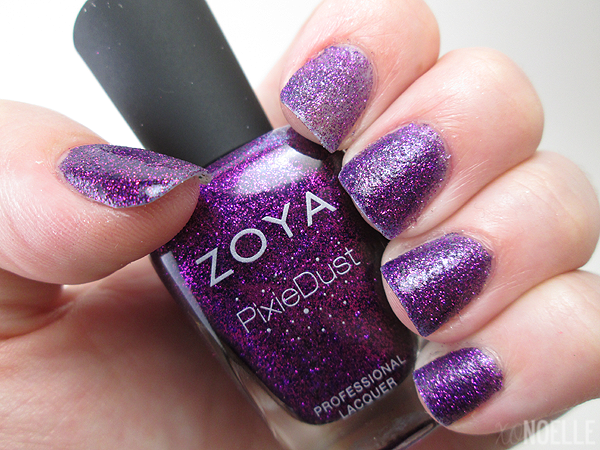 Zoya Nail Polish is a nail polish free of toluene, formaldehyde, DBP (phthalates) and camphor. 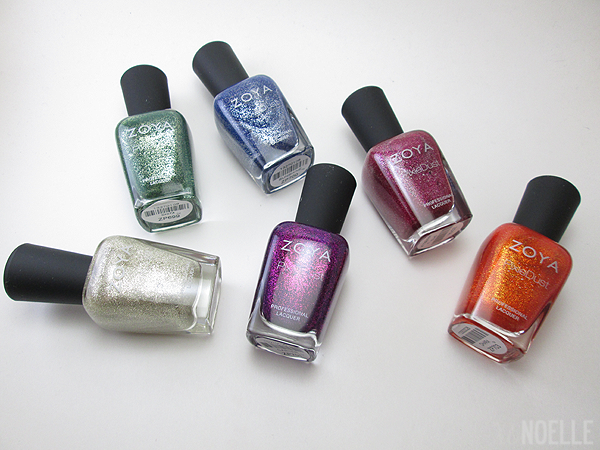 Where to Buy / Availability: This collection is currently up for sale now on Zoya.com (referral link)! PS. By using my referral link and being a first time customer, you'll receive a free bottle of Zoya nail polish of your choice! Price: $9 each or $54 for the entire collection. 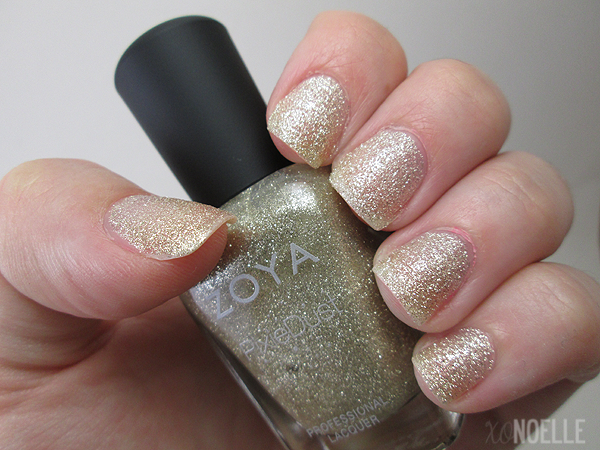 Make sure to like Zoya's FaceBook page, follow them on Twitter, check out their blog and subscribe to them on YouTube. I so love these Pixies. Great swatches! Right? Such a gorgeous color! Beautiful swatches of this collection! I think Sunshine is my favorite! Thank you so much. I love Sunshine! Very pretty and bright pics! I love all of these too!